When new clients first arrive for rebranding or to create a new website, they fear it will be an arduous, difficult process. Many are anxious because they think that marketing is outside of their professional “sweet spot.” Inevitably, though, they get lost in the process of creating, deciding, and watching their fresh, updated business look come to life. Recently at a project check-in meeting, a client of mine had turned that corner. I could hear actual delight as she articulated the progress she’d made. She’d found her groove, delving into her own creativity. The anxiety I’d heard before had vanished. As the check-in concluded, a wonderful memory flooded my mind. 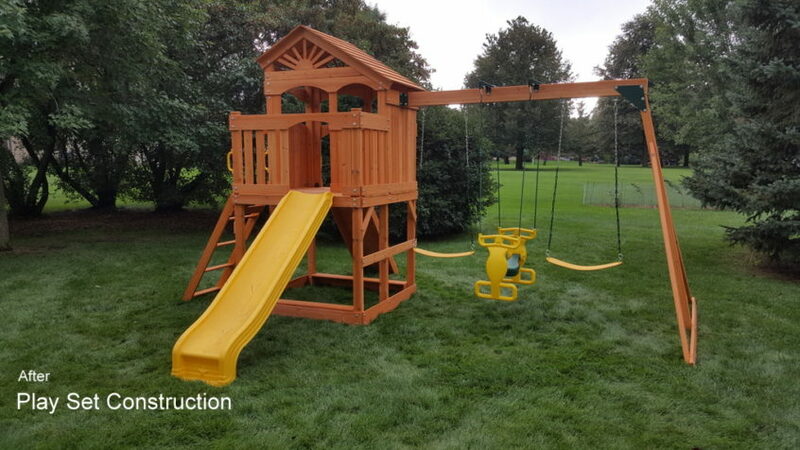 Some years ago, my husband, Tom, got a call to assemble a playground set. Thoughtful grandparents had purchased one that needed professional assembly. It was an all-day, two-person job so he invited me to help. On that beautiful, sunny day, we worked side by side and we had audience: two sets of studious, excited eyes were glued to the patio screen door most of the day. These little people watched with mounting excitement as we turned boxes into a playground. By the end, we both felt like summer Santa’s! Can we take a lesson from those kids? I think so. Fresh, new things bring delight! Of course, we’d expect that business owners will be delighted at the launch of new branding, but I’ve seen new branding engage employees, too. Frequently they’ll start sharing work updates on their personal social media sites and hold lively negotiations for possession of new company t-shirts! Current clients will also serve as enthusiastic ambassadors, bringing new customers – and often potential team members – your way. Admittedly, a new website or brand re-launch may not be as fun as a getting a new playground, but it can bring delight to more people than you might expect. So, if you have “bring continuity to the brand” or “update the website” on your to-do list, call me. We can get it done together and, perhaps best of all, you can mark it off your list and go play when it’s done!